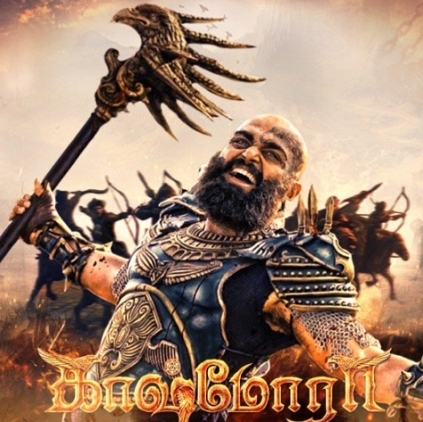 Kaashmora, the Karthi starrer, Gokul directorial is said to be a Diwali release. Producers Dream Warrior Pictures had tweeted, “. @Karthi_offl 's #Kaashmora Audio and Trailer date announcement will be on Wednesday(Sep 21st)”. This was misunderstood by many as the release date of the audio and trailer whereas the tweet had actually mentioned announcement on the 21st September. SR Prabhu of Dream Warrior Pictures clarifies to behindwoods, “We had tweeted the date on which we are going to make the announcement about the trailer and audio launch dates. We never said that they (trailer and audio) are going to be out on the 21st. Since the film is close to release and people have been asking us when we are going to announce it, we said that we would be doing it on 21st. I want to organize the event in a well-planned manner. Once we do that, we would come up with a proper announcement”. Another Bollywood diva turns producer! So this is what Abhishek Bachchan holds World Record for! People looking for online information on Dream Warrior Pictures, Kaashmora, Karthi, S R Prabhu will find this news story useful.